In recent months, it has come to our attention that there has been an increase in quality problems caused by Heterofermentative lactic bacteria that are not from starter cultures. These bacteria have been found growing on biofilms in the pasteurizer regen section of milk HTST’s, in some silage inoculants, in dairy powders and liquids used to fortify milk for cheesemaking, and on individual farms with certain cleaning issues. Once these are in the milk, they can’t be removed by pasteurization and will carry through into the cheese and whey powder by-products. The Center for Dairy Research (CDR) in Madison has seen an increase in quality defects in cheese including off flavors such as “sour” gas formation in retail packages of cheese and cracking defects in blocks of cheese. Many companies are starting to include specifications for low spore count non-fat powders, liquid condensed skim and UF milk products, and also whey powders used in many other foods. There is also evidence of excess viscosity of buttermilk and sour cream from this contaminant. What can the cheesemaker do to solve these issues? While there is no substitute for good cleaning and sanitation, there are tests available for these contaminants such as 3M’s Lactic Acid Petrifilm. Petrifilm can be used to test milk from the regen section of the HTST, screen milk loads from the farm, and test finished whey products. We have some plants already trying to locate sources of these spores by using Petrifilm. We have at least one DSM cheese culture being used to improve cheese flavors, especially in aged Cheddars. This culture is referred to as RF-4 from DSM. The culture is added to the cheese vat milk and competes with other contaminants to impede their multiplication and the off flavors and possibly gas that result from them. 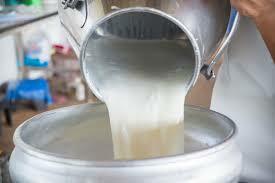 Eliminate biofilms in all milk handling equipment either at the plant or on the farm. We sell both 3M (LM1) and Hygiena (EnSURE & SystemSURE PLUS) ATP Luminometers that verify cleaning processes by the use of bioluminescence technology, and provide the customer with a numerical value to determine their cleaning effectiveness on food contact surfaces. There is some research that suggests certain silage inoculants can carry through into the milk supply. The CDR is still looking at this potential source. Ask for help and advice. We have a variety of industry people we can contact to visit the plants and farms to help troubleshoot. Contact one of our Product Specialists today for additional information!